Picnic in the ruins of the Roman Empire’s most southerly outpost, weave through Fez’s labyrinthine medina alleyways and stargaze in the sublime darkness of the Sahara. Marvel at the snake charmers at Jemaa el Fna in Marrakech and retreat to Sir Richard Branson’s picturesque hotel perched high in the Atlas Mountains. 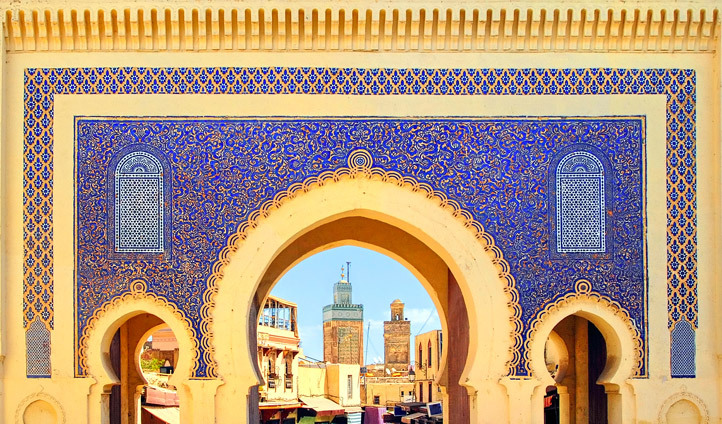 Your adventure begins in the old capital of Fes, where upon arrival you will be met by your local, English speaking driver who will whisk you to the center of Morocco’s oldest city. Spend three nights in opulence at one of the country’s finest riads, Riad Fes. On your first full day, you’ll enjoy a few hours of exploration in the hidden medina on a guided food tour; return to your opulent Riad for a lazy afternoon poolside or perhaps a pampering visit to the hammam. The following day, take a trip to the Roman ruins at Volubilis and enjoy a picnic and a tour of the semi-excavated site before returning to Fes for a final evening. Head south towards Erg Chebbi, Morocco’s highest sand dune where a luxury camp awaits you. Dine under the stars and rest your travel-worn self in the calm of the Sahara desert. At sun-up it is time to make an attempt on the summit of the 1000ft sand dune, before heading west to the breathtaking Todra Gorge and on to Skoura to overnight in a picturesque riad in a palm oasis. Continue your travels through the mountainous terrain via the stunning Tichka Pass en route to buzzy Marrakech, where you will spend three nights uncovering the cities mysteries. Stay in the lavish beauty of Riad Farnatchi, an intimate and enchanting hideaway just steps from the main attractions of Marrakech. 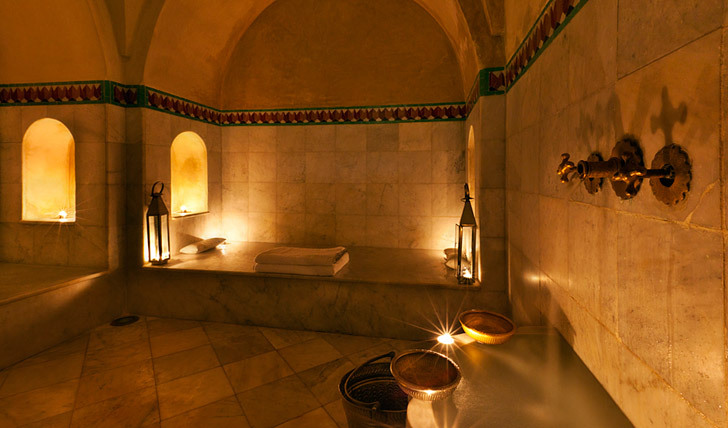 Enjoy the benefits of the hammam and spa, pampering yourself into a state of sublimity. Take a local’s perspective of this world-class city with a walking tour of the medina. Your English speaking guide will lead you through cobbled streets and around the iconic Jemaa el-Fnaa square, making sure you see all the city has to offer. The sights are many and varied, from the famous snake charmers and the ancient tanneries to the plethora of food stalls and endless array of trinkets. Barter with the stall holders in the souks and take home a bargain. The aromas of fresh fruit and spices are ever present in the centuries-old streets. On your second full day, join a local chef for a cooking class to learn to recreate your favorite dishes from your Moroccan sojourn. Travel up into the Atlas Mountains on a 4×4 adventure – stop en route for a trek to a Berber Village. At the end of the day, settle in for a well-earned rest in Morocco’s most dramatic landscape. We’ve saved the best for last: paradisiacal Kasbah Tamadot, owned by none other than Sir Richard Branson. Spend two nights exploring the surrounds and luxuriating in the beauty of one of Morocco’s most spectacular hotels. On your final morning, after one last indulgent Moroccan breakfast, you’ll be driven to Marrakech airport for your flight home.